Can you tell us a little about yourself? Where are you from, where you are now, what you do for a living, etc. I was born and have lived in the Boston area, specifically Quincy, MA my entire life. I attended Northeastern University starting in the fall of 2011 and just graduated this past May with my Doctorate in Physical Therapy. I am currently studying for my National Physical Therapy Licensing Boards and will be working as a physical therapist at Elliott Physical Therapy. 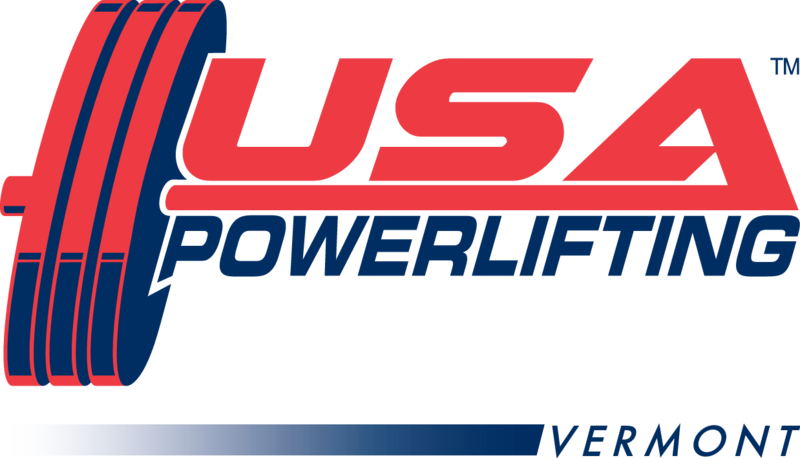 Tell us how you got into the sport of powerlifting? How did this change your life? 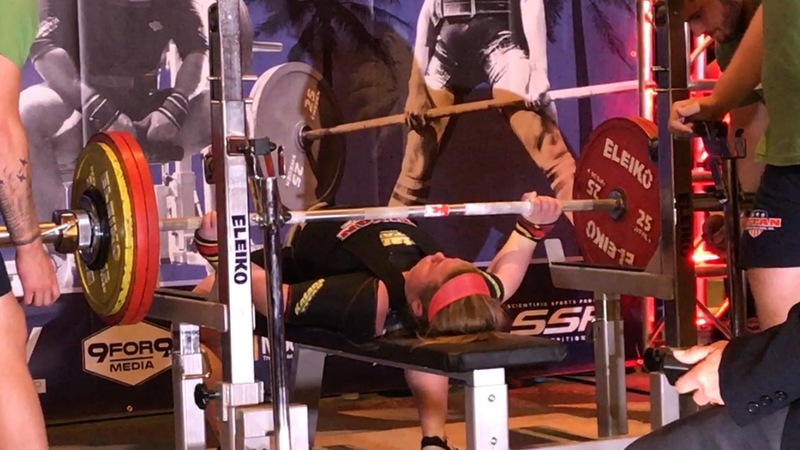 My journey into powerlifting is a long one. My entire life I was involved in sports, but found a love for soccer since I was 5 years old. I was very fortunate enough to have the privilege of being recruited and playing Division 1 soccer for Northeastern University for my 4 years of NCAA eligibility. 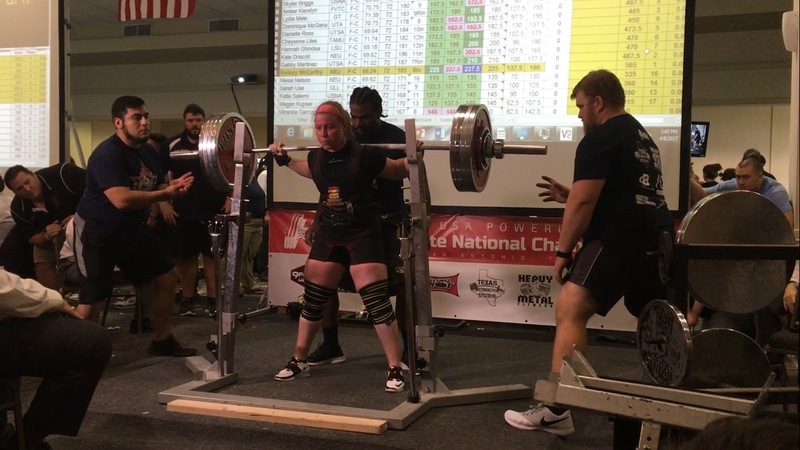 However it was my freshman year where the powerlifting was introduced to me by Sarah Cahill who at the time was a strength coach at NU and quickly got Michael Zawilinski on the path of trying to convince me to give up soccer and start powerlifting since I was already spending countless hours in the weight room. Fast-forwarding through four years of Mike constantly trying to persuade me away from the soccer and my eligibility had ended; I told him I would give powerlifting a chance finally. I attended one practice in January 2015 and was sold completely on the sport. What weight class do you compete in? I compete in the 72kg weight class. What is your favorite lift? What are your best lift? This is a tough one for me to answer…. 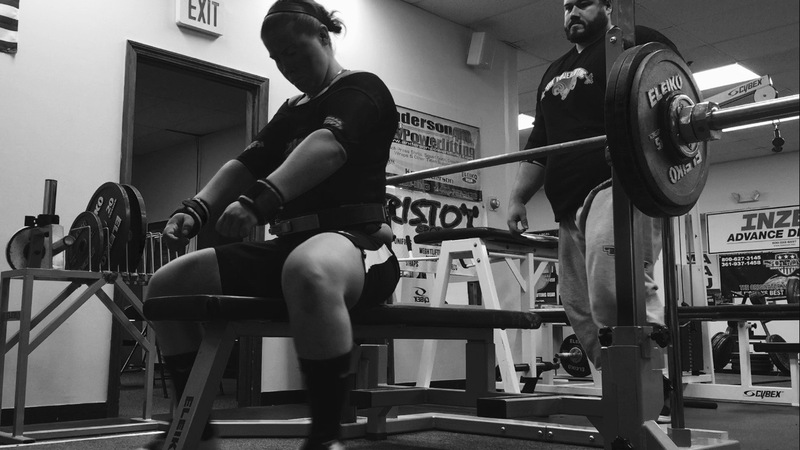 Since the beginning the squat lift has always been one of my strongest lifts and is the reason Sarah Cahill and Mike began the whole push for powerlifting. Therefore it is probably my favorite. However in the last year my bench lift has made immense progress making it a very close equal with the squat lift, since this was my toughest lift when I first started out. You’ve done a bunch of meets, some National level. Which one sticks out as your favorite and why? Through all the meets I have competed in currently there are two meets that stand apart from the rest. First off 2017 Collegiate Nationals is a meet that I will remember for the rest of my powerlifting career. 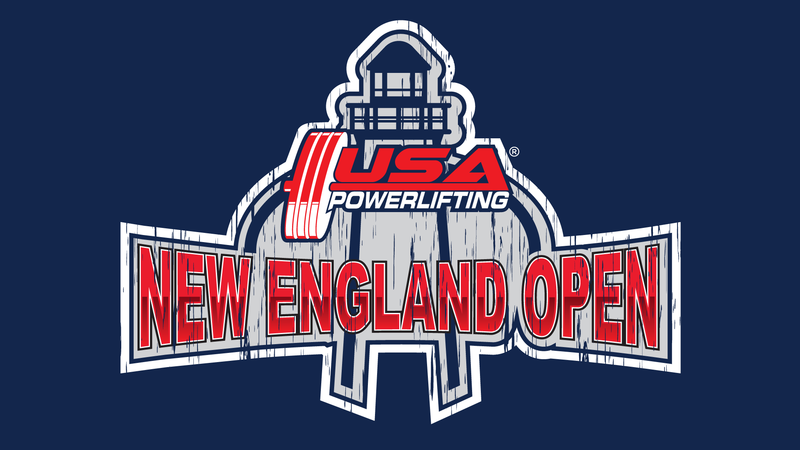 Not only was this meet the last time I would represent Northeastern University in any form of athletic area, but this meet was also when I totaled 600kg for the first time and as a result achieved a 600 wilks, which has only been accomplished 4 other female lifters in USAPL. Being able to join this small group of fellow female lifters is something I never considered possible when I started lifting, never mind it happening after only being in the sport for about 3 years. The second meet that stands out as a favorite is 2017 Open Nationals. This meet is one that stands apart from the rest for a couple different reasons. First of all although this meet did not result in personal records across the board for me, it does stand out because it was the meet I was able to break the Open American Record in the bench. Secondly this meet challenged me mentally more than any other meet I can remember. 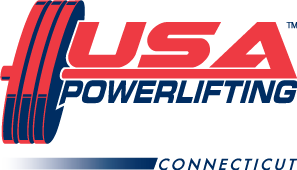 Competing against the greatest female in the history of USAPL and a lifter you have looked up towards is more than nerve racking, but coming away from the competition knowing I put up a valid a fight makes this competition special for me and it also resulted in the selection for my first Open World Team. Tell us where you train. What’s your training routine like? Does your classes interfere with your lifting or vice versa? I am very fortunate enough to call Baystate Athletic Club home, almost literally… since I think I spend more time there than I do in my actual house. 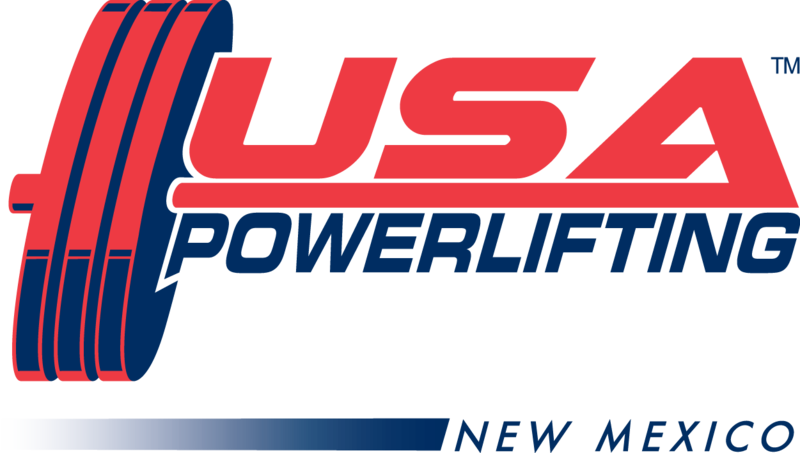 From the beginning of my powerlifting career I was lucky enough to be welcomed into the dedicated and highly accomplished group of lifters who here. Training wise I train 4 days a week at Baystate, with my programming mostly being advised by Mike Zawilinski either via text when he is not in the state or occasionally in person when he come to the gym. Typically I also include at least 2 days of cardio, especially playing soccer still, whenever I get the chance. This past year I was on clinical rotations so I was working full time with no classes but it definitely was a fine balancing act with training and everything else going. The usual result was that my days consistent of work and training with not much sleep. But since graduation I have a nice little break in the balancing act until it starts all over again. I’ve seen you do a lot of great things on the Platform, but tell us about what you consider is your greatest moment in powerlifting? 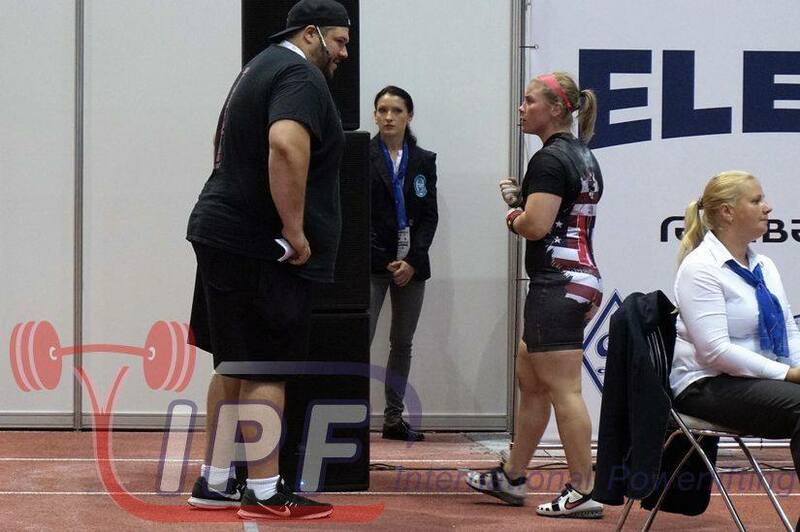 I like to think I have not had my greatest moment of my powerlifting career yet. But in the short time of competing and I guess I have to answer this question, I would have to place achieving a 600 wilks as my greatest accomplishment so far. Who are your mentors? 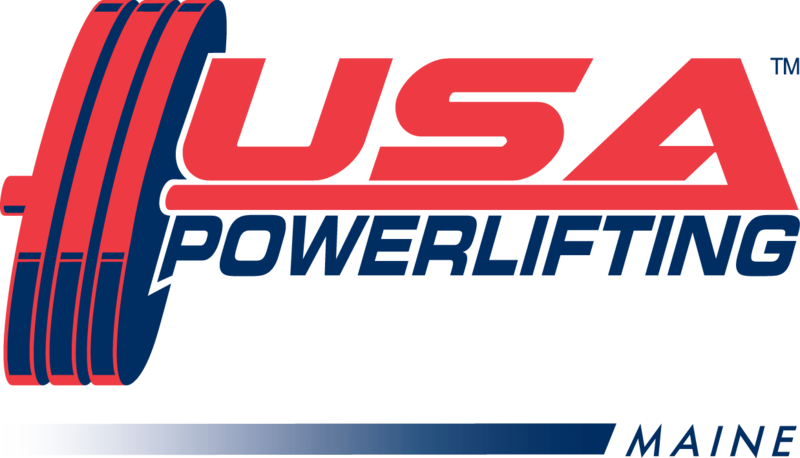 Who would you say you look up to as far as a coach, opponent, or fellow USAPL lifter. Any role models in the field of Strength sports? First of all I have always considered Sarah Cahill as a mentor and someone who I have looked up to since the first time she had to call an “intervention” to get me to leave to weight room. Since the days of my soccer career at Northeastern she was always the voice of reason for me and ultimately was the one who told me from the beginning that everything would work out for me and I would be happy with my choices, though I have now only realized this after graduating from NU. 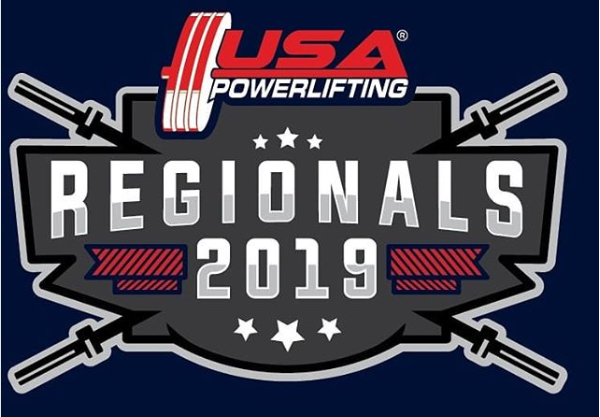 In addition to Sarah, Mike Zawilinski is the second person who can take a big portion of credit for getting me into the sport of powerlifting and getting me to hit the stop button when needed, because I won’t do that myself as I am always looking to do more. I can definitely say without Mike I would not be in the sport of powerlifting and probably would not be where I am currently in the sport either. I consider myself to still be on the newer side to the sport of powerlifting, so in regards to people I look up to there are quite a few. Since I started in the sport I have been lucky enough to train along side multiple national and world champions who are willing to help whenever they can. Though I won’t name them all because the list will go on and on, Joe Cappellino, Eric Kupperstein, Shaina Vickery and Monet Bland, are all fellow lifters who I look up too. 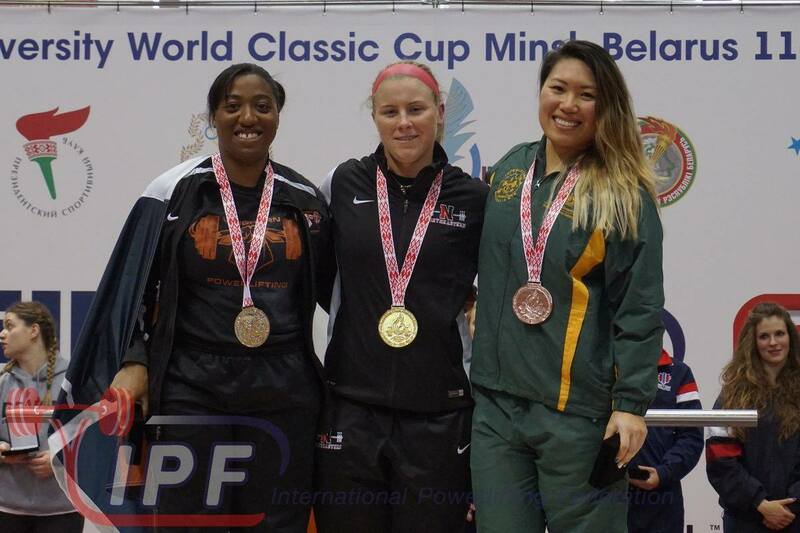 In addition to this Priscilla Ribic and Liane Blyn are also lifters who I have looked up towards since I learned what powerlifting was because I think their accomplishments in this sport speak for themselves. What inspires you to keep training? Do you have any tips that could help other lifters who are just starting out be motivated to achieve? It is hard for me to nail down exactly what it is that keeps me driven in training. If I had to take a stab at it I would say that that it is my drive to always be a better version of myself and a love for competition which is mostly against my own performances. My advice to other lifters is to be patient and trust the process even when it feels like everything is going wrong or going nowhere. Keep focus on what is happening within yourself and not get caught up in the numbers and what others around you are doing. If there is one thing I have learned so far in powerlifting is everyone’s journey in the sport is different and trying to rush your own process or chase someone else usually does not end very well. Lastly try not to overthink lifting, because you will tell yourself you are not capable of things your body is very capable and strong enough to do. Now that you are done with Collegiate Powerlifting, what is next? Next up for me is Open Wolds in the Czech Republic in November.